Why is burning rubbish dangerous? It produces toxic emissions and nano particles that are harmful to human health and greenhouse gases that are bad for the environment. 1 in 12 people die from air pollution in London every year. Burning rubbish adds to the pollution in the air and will kill more people. These toxic emissions get in to our bodies and in to the food chain, which means even if you are not close enough to breathe in the poisons directly you could be eating food that has been contaminated. Once these dioxins are in our bodies we cannot get rid of them and they build up over time. Only the smallest amount is needed to cause harm to the body which can result in cancers and birth defects. 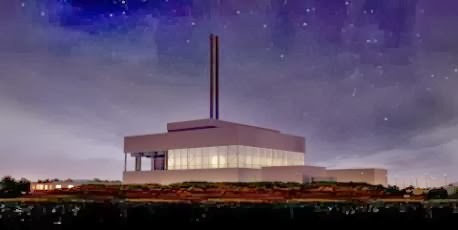 For more information see the British Society for Ecological Medicine report on The Health Effect of Waste incinerators, see this link and these Friends of the Earth reports explain it well: The Incinerator FAQ’s & Incineration and Health Issues. Why is burning rubbish wrong? Waste incinerators are proven to be a disincentive to waste reduction. Because councils are tied in to a contract to feed the furnace, waste incinerators are an inflexible solution that can do only one thing and that is burn rubbish. An over capacity of waste incinerators in Europe has resulted in many countries having to import waste and burn recyclables. 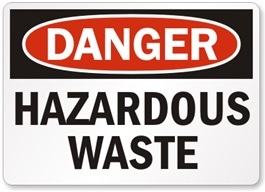 There is already an over capacity of waste treatment facilities in the UK . We do NOT need to build anymore waste incinerators. The waste companies are perpetrating a myth that there is an urgent waste problem that can only be solved through incineration. 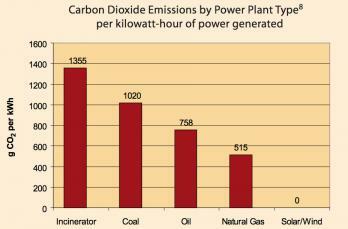 Do incinerators save us money? No! Waste Companies make more money from burning rubbish than they do from treating it in less harmful ways. 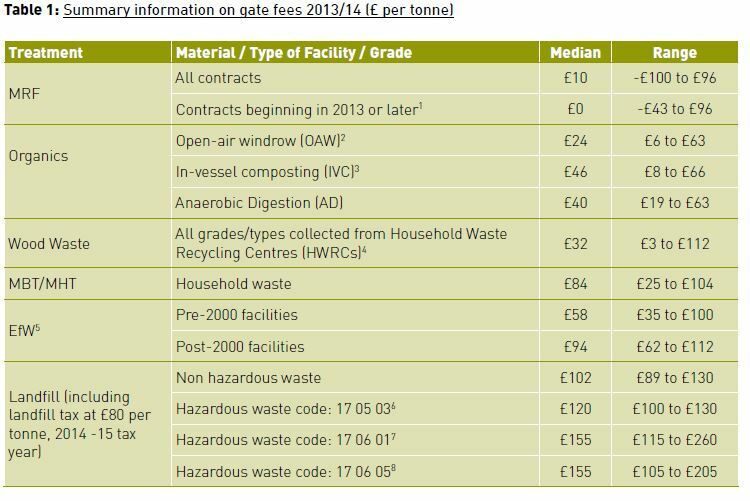 2013 Figures from WRAP show incineration can cost over 4 times as much per tonne as anaerobic digestion. 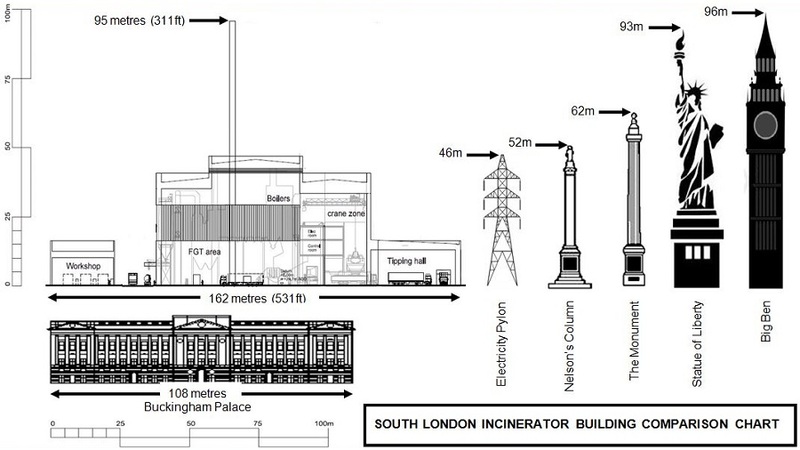 How big is the South London Incinerator? The whole site is 2.75 hectares – equivalent to nearly 4 Wembley Stadium football pitches. The building is 109 metres (357ft) long x 74 metres (242ft) wide x 42 metres (137ft) tall with 2 x 95 metre (311 ft) chimneys (this is excludng out buildings). This is equivalent in size to an aircraft hanger with chimneys almost as tall as Big Ben. What does the South London Incinerator site look like? For more photos of the site we recommend Peter Alfrey’s Blog. The site as it is today. Artist impression with the Incinerator. What is wrong with the location of the South London Incinerator? Apart from the obvious health impacts of building it next to the most populated borough in London, it will destroy some of the most important wetland habitat in the country. This incinerator is being built on a site that’s supposed to be protected from development as it’s both Metropolitan Open Land (which has the same status as Green Belt Land) and is also a Site of Metropolitan Importance for Nature Conservation. Home to a diverse range of wildlife including 145 different species of birds and the largest tree sparrow population in the South East. The incinerator will devastate the environment and our health. Find out why we must save it here. The incinerator is being built in an air quality management area (AQMA) , which means it is already too polluted and the council needs to work harder to reduce pollution. They got round this by increasing the heights of the two chimneys from 85 metres to 95 metres (311 ft). (1) This will help disperse the toxic emissions beyond the AQMA and spread them over a wide area. How much rubbish will the South London Incinerator burn? 300,000 tonnes a year for the next 25 years. That’s equivalent in weight to 68 double decker buses of rubbish a day. To maximise their profit, Viridor have tied the council in to a long term fixed base load contract to burn more rubbish than is available locally. This means Viridor have a guaranteed supply of rubbish for the next 25 years and at least a third of this rubbish will have to be imported from elsewhere. This is a big disincentive to reducing the amount of waste we produce. Will the rubbish be sorted before it is burned? No. Unlike the rest of us Viridor do not have separate their rubbish for recycling, they just throw it all in and burn it. They have no real idea what goes in the furnace and up the chimney. This can have dangerous consequences like the explosion at Viridor’s Lakeside Incinerator near Heathrow. 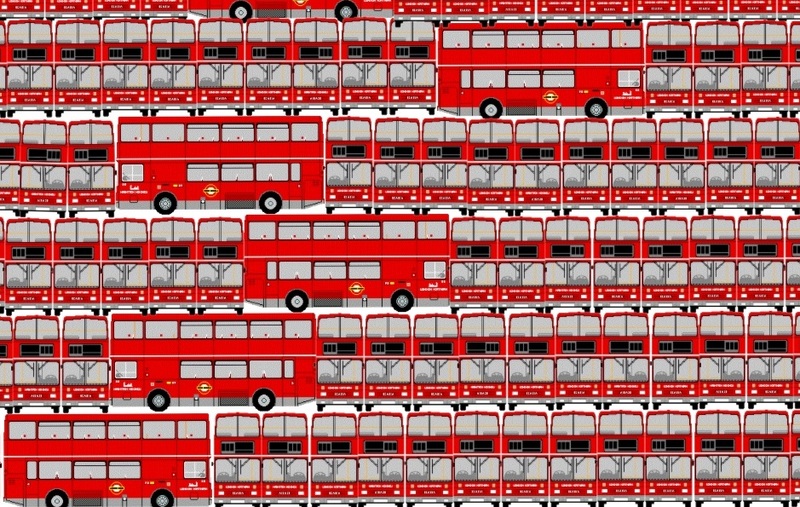 How many lorries will there be? During construction there will be about 770 lorries day and once operational about 666 a day. There’s not enough waste locally to fill the incinerator, so it will be driven in from all over the country. There is no contractual requirement for the lorries to follow a specific route. Lorries carrying hazardous waste could be coming down your road soon. The incinerator will produce over 75,000 tonnes of ash a year that needs to be driven elsewhere for further processing. That’s the equivalent weight of 17 double decker buses worth of ash a day. 10,000 tonnes of this ash is considered hazardous waste and this has to be disposed of in specialist landfill sites. Fly ash from the South London Incinerator will likely be going 285km away to Wingmoor Farm in Gloucestershire where the local residents get to inhale this very toxic waste. For a more in depth look at lorry movements please see this post. What happens if the South London Incinerator breaches emission limits? There are no safe levels of pollution. There are no safe incinerators. This was done because the South London Incinerator is being built in an air quality management area where the pollution in the surrounding area is already too high. The taller chimneys are meant to spread the emissions further away – wherever the wind blows. There is nothing to stop them breaching emission levels for 3 hours and 59 minutes over and over again every day. In fact, it is expected that problems will occur and emission limits will be breached “particularly during the commissioning phase” (3). 72 hours. That’s three days of pumping out completely unfiltered and highly toxic emissions. Even if you believe that the incinerator, when operating normally, is completely safe; there is plenty of opportunity for it to continue operating even when it is not. One waste Incinerator in Dumfries, Scotland, breached emission limits more than 200 times from 2009 until July 2013 when it burned down. The South London Incinerator is allowed to break the CO2 targets set by the London Mayor without any action being taken. MemberStates shall ensure that provision is made in the permits for procedures relating to malfunction or breakdown of the abatement equipment. In the case of a breakdown, the competent authority shall require the operator to reduce or close down operations if a return to normal operations is not achieved within24 hours, or to oper­ate the plant using low polluting fuels. The operator shall notify the competent authority within 48 hours after the malfunction or breakdown of the abatement equipment. Beddington Farmlands is being developed into a 400 acre nature reserve within the coreland (over 1000 acres) of the wider Wandle Valley Regional Park. The Nature Reserve and the Regional Park is the single most important part of the green infrastructure within South London and has the potential to enhance the lives of millions of Londoners by providing an opportunity to connect people to nature through bird and nature watching, photography, walking, running, fitness and cycling, education, other multi-functional ways and also for employment. 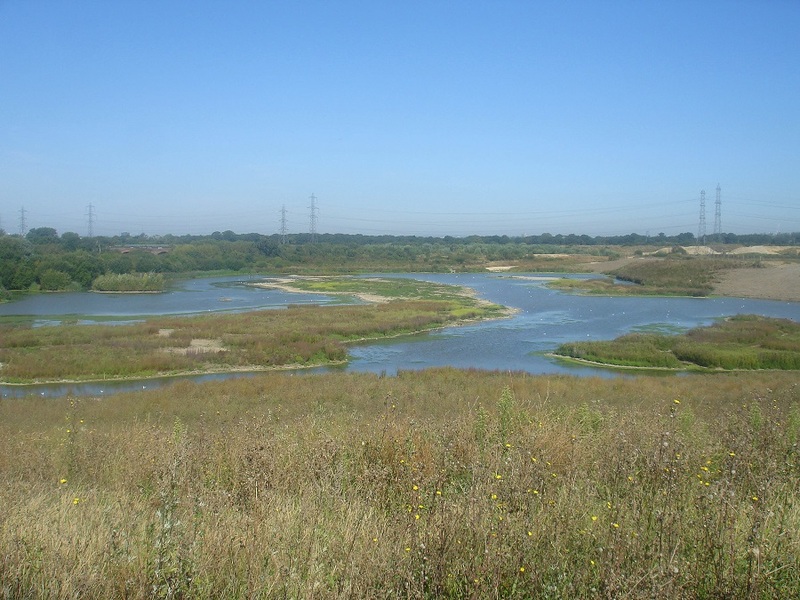 The South London Nature Reserve at Beddington Farmlands can address the serious issue of ‘nature deficiency disorder’ (which is probably even more serious in the challenging social environments of South London) and in doing so enhancing the lives of the 1.6 million children and people of the immediate surrounding area. Educating city folk in the importance of nature being an essential part of a healthy human environment is so important anywhere and possibly even more so in London-a city whose people and ideas influences the whole world. Beddington Farmlands is set to become one of the largest urban nature reserves of any city- a flagship to people and nature coexisting. The WWT London Wetland Centre at Barnes- Beddington Farmlands is 4 times the size of the London Wetland Centre and was the joint lead contender for the main London Wetland Centre. Barnes was chosen due to it’s more central location and also because Beddington Farmlands was already being developed as a reserve as part of planning conditions by Viridor. There are so many ways that people can connect to nature in a modern urban nature reserve. 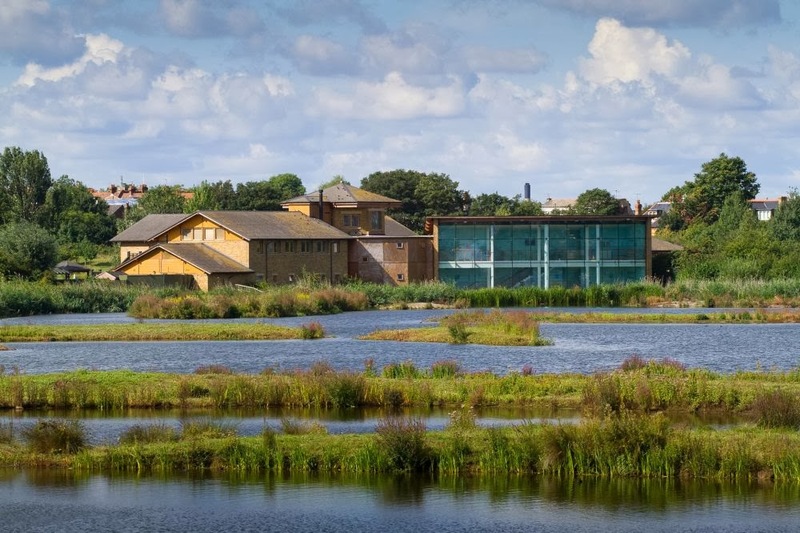 The WWT London Wetland Centre is not only a major educational resource, a major resource for professional and amateur naturalists and a significant employer but is also used for weddings, conferences for city businesses. by mums groups, fitness groups, by families etc etc etc. Public engagement at Beddington Farmlands has already started ahead of managed public access in the coming years ahead. Employment- habitat creation in the Southern lake. Employment opportunities are significant: habitat creation, reserve maintenance, visitor facility construction and management and visitor facilities- activities, restaurant provisions,educational facilities, conference facilities etc etc etc. For health: Walking, running and cycling and connecting with open spaces and nature. Work is currently under way to complete a full species inventory of all biodiversity at Beddington Farmlands. So far over 300 species of plant (not including the many fungi and lichens also present), 9 species of bats, 256 species of birds, 476 species of moth, 29 species of butterfly , 46 species of bugs, over 300 species of beetle, 358 species of flies, 99 species of bees, wasps and ants and many more grasshoppers, earwings, lacwings, caddis flies and spiders. Despite these numbers we have only scratched the surface and many many more species await discovery. A Red Underwing Moth. 476 species of moth have been recorded including possibly the only breeding population of the Dewick’s Plusia. Over 60 species occurring are of national conservation concern/interest. Red Admiral- one of 25 regularly occurring butterfly species including Purple Hairstreak and Marbled White. A hoverfly- Flies are an often un-appreciated important pollinators (much more important than bees). 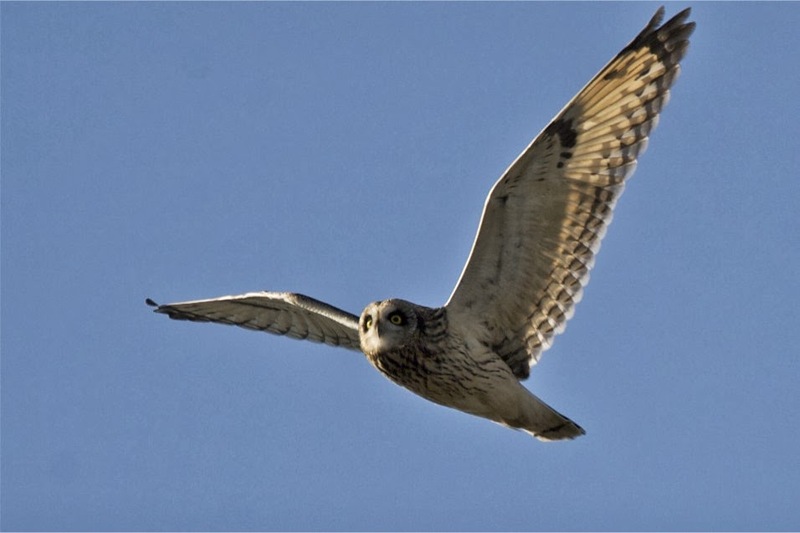 Over 350 species have been recorded at Beddington Farmlands including 41 species of conservation concern. One of those species, Litophasia hyalipennis was discovered which was previously considered extinct from the planet! The South London Incinerator proposal includes the over-riding of Metropolitan Open Land (equivalent to Green Belt in an urban area) status, over-riding of SINC (Site of Importance for Nature Conservation) status and over-riding of planning condiitons to restore the proposed Incinerator site to Biodiversity Action Plan Habitat. A chilling precedent will be set which could threaten the whole protected network of conservation habitat not only locally but the whole of the UK. 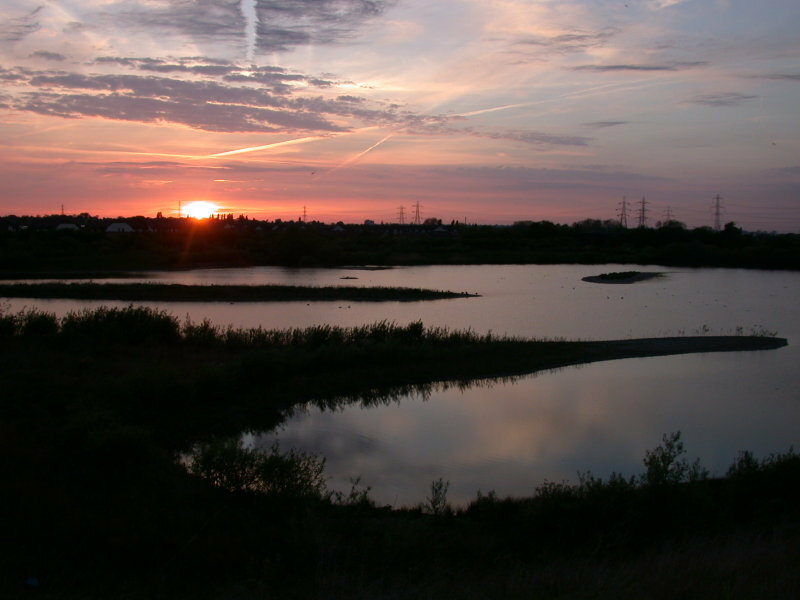 Beddington Farmlands is home to important and rare populations of birds. An incredible 256 species of bird have been recorded on the site with over 150 species recorded each year. Over 40 Red Data List (of highest most conservation concern) have been recorded with several species actually breeding on site: Northern Lapwing, Common Cuckoo, Lesser Spotted Woodpecker, Skylark, Song Thrush, House and Tree Sparrow and historically Marsh Warbler. Nationally scarce visitors have also bred on site including Bluethroat, Spotted Crake and Little Bittern. The site is also a very important migration stop over and re-fuelling location and very rare birds are frequently recorded sometimes attracting twitchers from all over the country. Some of the most rare birds recorded include Glaucous-winged Gull from Alaska, Killdeer from North America, Pacific Golden Plover from Siberia and other vagrants from the Mediterranean, the Arctic and the Near East. Tree Sparrow- traditionally the site has been one of the UK’s strongholds for this species but unfortunately numbers have recently crashed ahead of arrangements to build the Incinerator. Northern Lapwing- over 20 pairs breed in good years. An exceptional number of pairs for this iconic farmlands bird thriving in the heart of an urban environment. Curlew Sandpiper- one of many migrant wader species that re-fuel on their journey between the breeding grounds in the High Arctic and the wintering grounds further South (as far as Sub-Saharan Africa). Northern Wheatear- one of many migrant passerine species which utilise Beddington Farmlands as part of their life cycle. Stop-over sites are so important for conservation as they provide the link between the breeding and wintering areas. Kestrel- one of up to 50 breeding (territory holding) species on site. Common Kestrel is listed as Amber- which is of medium conservation concern. Cetti’s Warbler- being ringed as part of the on going migration studies at Beddington Farmlands. Understanding migration behaviour of individual species is essential in species conservation. Permission has been granted by the local authority and endorsed by the London Mayor and Central Government to build an incinerator on Beddington Farmlands despite the applicants breach of previous planning conditions (to deliver a BAP habitat specific nature reserve as part of a Regional Park by 2015 to 2023), inadequate mitigation measures, loss of important Wet Grassland habitat and loss of Metropolitan Open Land. Judicial Review Proceedings have been commenced to bring the matter to court in order for the case to be reviewed and to question why the local authority, the Mayor and Central Government are allowing the damaging of the South London Nature Reserve and in doing so are compromising the opportunity for South London to host a premier urban nature reserve- a flagship for people and nature co-existing . Other campaigners are also highlighting the health risks related to mass bulk incineration and favour a decentralised approach to dealing with waste with an emphasis on recycling and reuse- which sounds sensible too.